We all know economy is going thro a big crisis (also our pockets) I read that holiday sales shows that e-commerce was down 2.3 percent this year. Should you stop from buying something for this holiday? You really don’t have to buy something that was invented in the last century. You can still spoil yourself with some latest gadgets which are low in price for this holiday season. So I decided to seach for some low cost and here are the things that I found. Sound quality is pretty decent. So looking to buy a MP3 player and dont want an iPOD touch, well where is your stuff. This camcorder can hold 60 minutes of high-definition video. 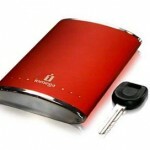 Its very easy to use just push the red button on the back to start and stop recording. Camcorder also has a flip-out USB arm that plugs into a computer. It comes with a black color skin by default. You can custom-design your own skin for free at the company’s online store. 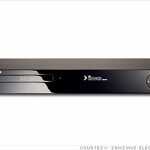 You’re looking for a Blu-ray player that won’t burn your pocket, this one from Samsung should be the one. 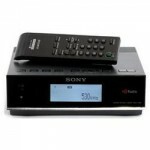 Its not the player which has lots of features that a conventional Blu-ray device available in the market. It does play high-definition your regular DVDs. It also looks stunning, its sleek with a glossy black finish. Desktop Hard Drive, USB 2.0, Design looks as good as Apple MacBook Air; Drop Guard protects against long falls. Transfer speed is good. Its available in Red, Blue and Black. 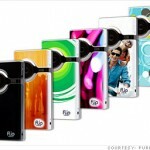 It has a aluminum body that measures a mere 0.63″ thin, tipping the scales at 7 ounces. Capacity 320 GB. OS Requirements Apple Mac OS X 10.1.5 or later, Microsoft Windows 2000, Microsoft Windows Vista, Microsoft Windows XP. Pretty cool eh?